Welcome to the always shapeshifting world of wine, a high end commodity governed by variables ranging from stock markets and currency exchange rates to climate change and crummy weather. Thanks to enhanced technology and a multiplying number of vineyards, excellent-quality vino is being produced nearly everywhere, and not just France, Italy, or Napa Valley. Meet some delicious bargains from places you never knew to look. During Greece’s first 30 years in the European Union, the E.U. plowed a sizable investment into helping the country reboot its ancient wine industry. No sooner had that effort begun to pay off than the global financial crisis arrived in 2008, cratering Greece’s economy and paving the way to a sovereign debt crisis and a grim state of austerity. At the same time, Greece’s upscale new wine supply overwhelmed demand and prices plummeted. The winemakers unloaded the barrels, and the prices remain low—especially in American stores. According to Emerson, if you’re buying Greek, keep an eye out for wines made from the widely planted assyrtiko grape. The same economic lopsidedness applies to bottles hailing from Spain, another country wracked by debt and high unemployment. If you encounter a bottle produced in and around an area called La Mancha, snap it up. In brighter economic times, it would cost more. Popular wine blogger Melanie Ofenloch singles out the wineries of New Mexico, where Gruet (gruetwinery.com) is churning out a sparkling white for less than $20 that she says is “a damn good expression of the chardonnay grape that’s usually used for expensive sparklings.” Texas, she adds, is also a hotbed of winemaking (seriously). In Dallas, the Calais Winery (calaiswinery.com) has received high marks for its red wine produced from the obscure black tempranillo grape. And in California’s Central Valley—south of Napa—you’ll find several well-priced, good-quality wines, most of them produced on vines planted by Italian immigrants more than a century ago. For a terrific table wine, seek out Turley (turley winecellars.com), known for its excellent zinfandels and petite sirahs. Act fast because word is spreading. The domestic industry’s Drink Local Wine Conference recently launched a PR offensive called “The Other 47” to raise awareness about lesser-known wines in the United States. But before we do, there are two things you need to understand. First, good red wine is more expensive than good white wine. “Red wines take longer to produce,” says Emerson. Second, you shouldn’t thumb your nose at a screw cap in place of a cork. “Just because you shove a bit of old wood in the top of the bottle and pray the bottle doesn’t go off doesn’t mean that’s necessarily the best way to enclose it,” says Emerson. (By the way, for your next dinner party, the screw cap’s official name is the “Stelvin enclosure.”) If you’re hung up on the cork, know that reputable wineries aren’t: The California winery PlumpJack swapped out corks for Stelvins on bottles that cost $100 or more. Even if you know nothing about a wine’s provenance, you can glean clues about its quality merely by picking up the bottle. For example, take note of its weight. Heavy bottles require more glass for manufacturing, cost the wineries more, and so are reserved for higher-quality wines. For the same reason, the dent in the bottom, known as a punt, will be deeper, too. (If your wine bottle has a flat bottom, it’s a cheaper bottle, period.) The label itself is another dead giveaway. Just as you should never trust a man who wears cheap shoes, has a weak handshake, or carries a flimsy business card, avoid a bottle with a wispy label. 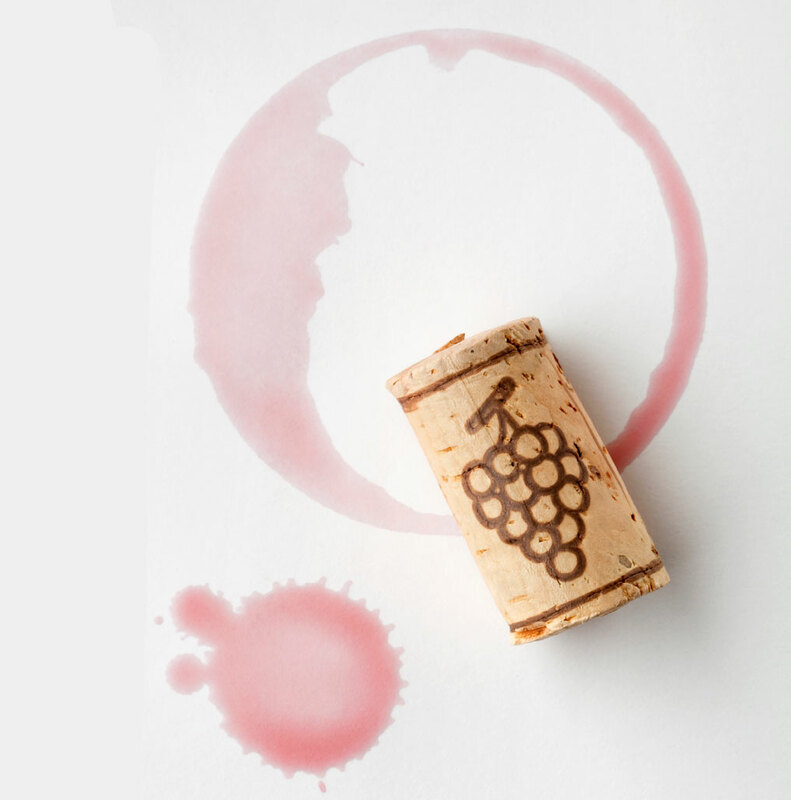 Quality winemakers use stock on their label that’s thick enough to be raised from the surface. According to Ofenloch, there are two subtle label details that are tip-offs to a better wine: Look for a family winery, since—as corny as it sounds—it means the wine will be made with some level of effort; then search for the phrase “produced and bottled by,” which is a legal term guaranteeing that 75% of the contents were fermented at the same address where they were decanted, thus preventing any padding with bulk juice. Great Britain, the rain-soaked mecca of milky tea, fish ’n’ chips, and warm beer, traditionally never had a growing season long enough to ripen grapes on the vine. As temperatures continue to climb, however, new British wineries have begun selling drinkable plonk, the best of which hails from vineyards in the chalky hills of southern England. Among the more successful start-ups are the Ridgeview Wine Estate (ridgeview.co.uk) and Rathfinny Estate, founded four years ago by a former hedge fund manager (rathfinnyestate.com). “Honestly, if you’d told me 10 years ago that there would be world-class wine made in the U.K., I’d have laughed at you,” says Emerson. So until your local store contains a “United Kingdom” section, enjoy life ahead of the curve.